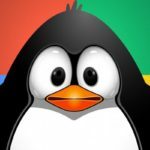 After the Google Panda and Penguin updates in recent months, On Page SEO is playing a vital role in ranking your website. If you want your website to rank higher in search results, you have to optimize your website’s content using On Page SEO. Here is a checklist of attributes that search engines look for in a relevant and high-quality website. 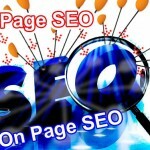 Keywords should be present but do not overstuff your page with them or else it will be considered spam. Be sure that your keywords only constitute about 3-7% of your page. If you go beyond that, it looks really silly and forced, and can be marked as spam. You can supplement your major keywords with minor ones with keyword densities of around 1-2%. Aside from the number of keywords, the placement is also very important. Be sure to place keywords in titles because it is the first thing that pops up in search results but be sure to keep it brief. 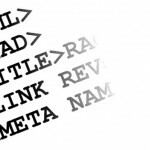 Check out article from problogger that explains the importance of using keywords in titles. Another thing that can be seen in search results is the URL; so make sure to put the keywords there too. Just like in the title, make your URLs direct to the point. In the body of the page, put keywords in your subtitles and headers. It also helps to place them in the beginning of your article. But make sure it does not look forced, and naturally blends in. If you are writing informative articles about the keyword, this would not be a problem. Throughout the body of the document, you can sprinkle your keywords and just use synonyms and phrases to avoid being too repetitive. Images on your page cannot be read and it would be waste especially if they contain significant information. But since the search engines can read your codes, you should use your keywords when naming your image files. Aside from file names, use the keywords in alt tags, or the description that pops up when the pointer is over the image. Use the keywords wisely and provide accurate description of what is in the image. Another thing to look after is the keyword proximity. For example, if you are writing about kittens in general and about caring for them specifically, it helps to have the phrase “kitten care”. Make sure to put these two words together and do not put them far apart from each other. This will give you hits from the keyword “kitten” while you let your visitors know that you also have content for taking care of kittens. And of course, check that all your keywords are properly spelled. Misspellings will not only direct traffic away from your site but this will also reflect on the quality of your site and it could be ranked down. For links, aside from putting keywords in URL’s, use them in the anchor texts. Within your website, make sure that a reader can easily navigate and reach your pages. Check that all of your pages are linked to another page or to your homepage. Probably, the most important factor in getting more traffic is your website’s content. Apart from being recommended by search engines, your content is responsible for making readers stay on your website longer. If they enjoy your content and find it informative, they can refer you through social networking, which will boost your site’s hits even further. Offer unique content and avoid regurgitating other site’s content. If you must rely on another site for research, make sure you have something to add, and be original in relaying the information. Within your website, make sure you do not produce permutations of the same article. It is better to have few unique articles than multiple ones that talk about the same thing. Always, updating your content is a plus because it keeps your site fresh and relevant. 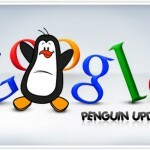 You can either update an existing page or add new ones to your site. It also helps to keep your articles informative but brief instead of long ones that go around in circles. Tweak your website and tick off some items on this On Page SEO checklist so you get the approval of search engines and internet users alike. Great information! 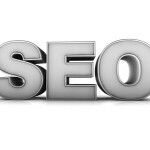 These same tactics can be utilized for successful Off-site SEO as well.